Finally, a gorgeous day outside! Just what I needed. I am no fan of cold weather. Makes me just want to hibernate. As I do a some work on the computer, I'm enjoying fresh air through an open window. The squirrels, probably as excited about the warm weather as I am, are a bit loud but not to the point of distraction. So motivating! The weather, not the squirrels. Last week I discovered a fabulous Etsy shop called Material Gal. 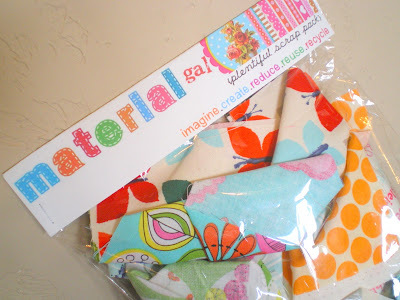 I semi-splurged and ordered a Plentiful Fabric Scrap Pack and received it yesterday. Lots and lots of cute scraps, some of which will be making an appearance in the shop just as soon as I create something from them. These surprise grab bags are perfect when you need a boost of inspiration - you get fresh new fabrics without having to spend a bundle. I recently ordered a scale so that I could get a bit more high tech when it comes to shipping orders from the shop. 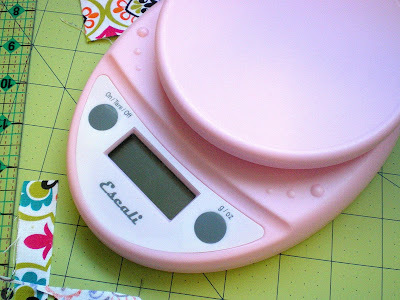 I checked out several postal scales but not only were they ugly, they were pricey! I then went to Amazon.com, my go to source for product reviews, cool stuff, and free shipping. and came across this Escali kitchen scale! This adorable scale (looks like a toy, doesn't it?) was very highly rated and recommended, came in a rainbow of colors, doesn't take up space, and was affordable--only $25. I used Swagbucks to pay for it, so it ended up being free. I find it to be very accurate and am so glad I got it. I've had an owl crush for quite some time now. I'd say it began last year around this time when I decided to redecorate my daughter's room. What can I say, they're just plain cute. I found a great pattern at Bit of Whimsy Dolls and whipped up a pair. They will be going in the shop just as soon as I can get some better photos. 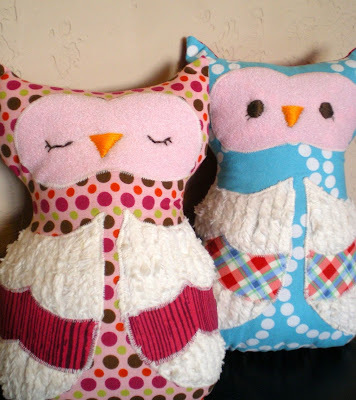 These owls make perfect buddies for little ones and I'm sure I will make lots. They're addictive! Who couldn't use some extra cute? And those owls are adorable! Thanks! 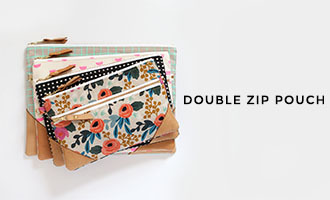 They are really fun to make-my stress release from sewing purses, wallets, etc. Cute owls! They look cuddly! I love materialgal, I found her when I was looking for some aB love last year. And she's only a couple hours away so that makes shipping fast! yay! Thank you both, Pattie and lady noire! Thanks for your input Vanessa, I really appreciate it! 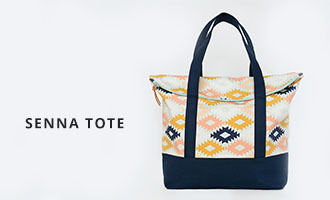 Vanessa I love all your items on Etsy, but I especially love the slouchy bag. The yellow one is adorable! !